Buy a Moto Z3 Play and Get a Free Amazon Alexa Mod at Motorola.com. Item appears in Cart. Valid from 8/19. Take life further with the new moto z3 play. Go all weekend with up to 35 hours of combined battery life just by snapping on a Moto ModTM. * Or add other unique capabilities that reflect the things you love. Watch your videos and games come alive on a virtually borderless 6” display. Get creative with the depth-sensing camera’s new photo features, including Cinemagraphs. Explore more of the world around you with Google Lens built right into the camera. All this in one of the thinnest premium smartphones on the market. moto z3 play. Go further. 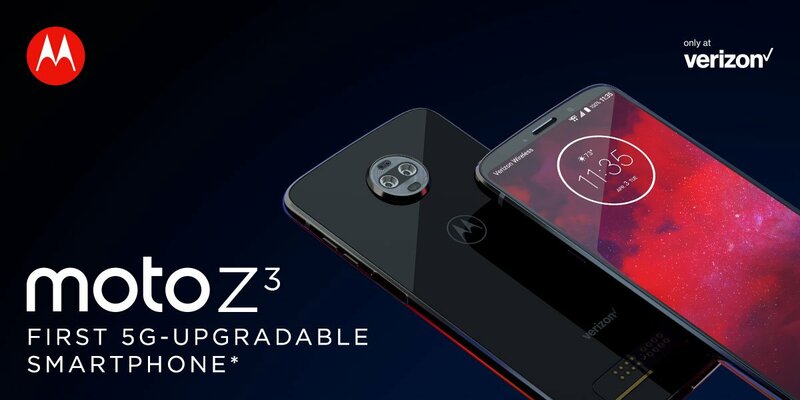 The World’s First 5G Upgradable Smartphone – Introducing the moto z3 at Motorola.com!